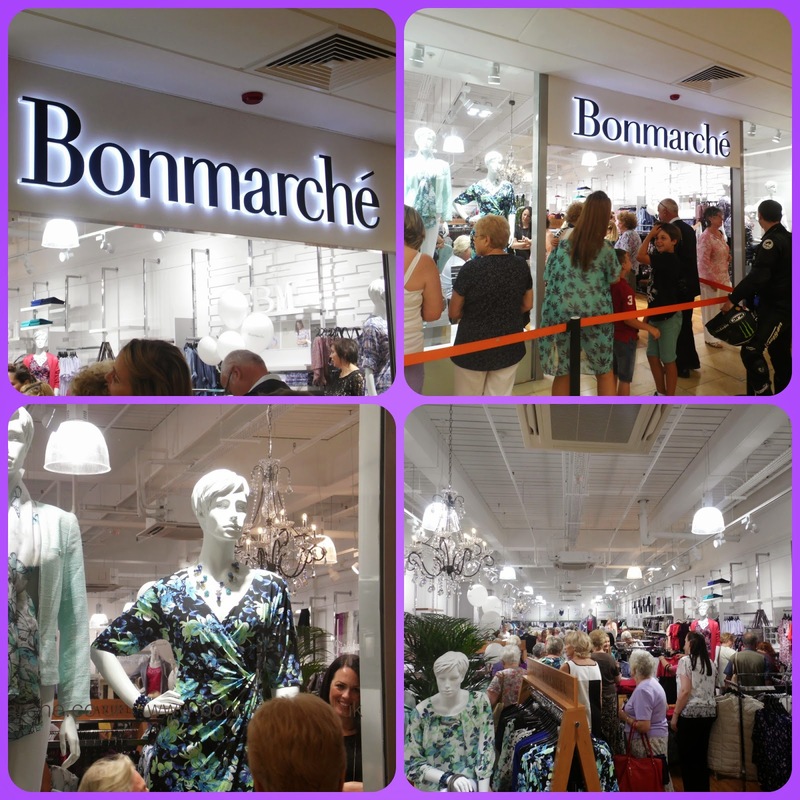 Wednesday, this week, I was fortunate enough to be invited to the opening of the new Bon Marche store, in Cardiff. 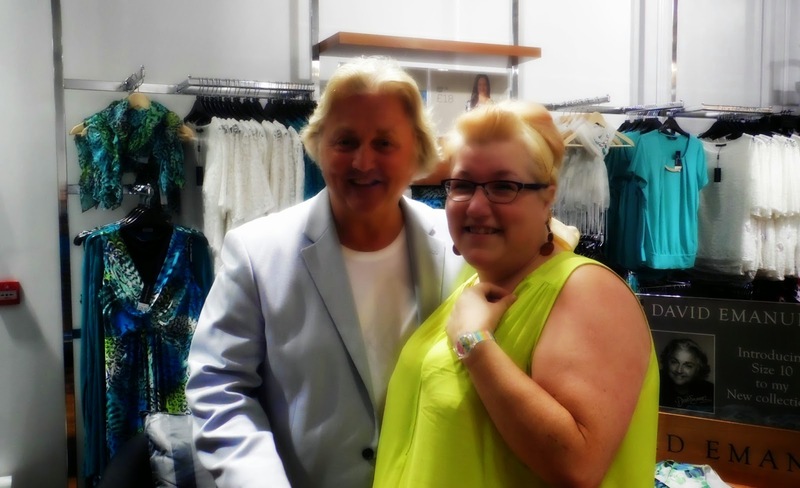 Not only was I given the opportunity to see the brand new store, I was also given the chance to meet the amazing David Emanuel! For those of you living in ignorance, he is the man that designed princess Diana's wedding dress! I was at the age, where I wanted to be a princess, as he was creating a dress for one! 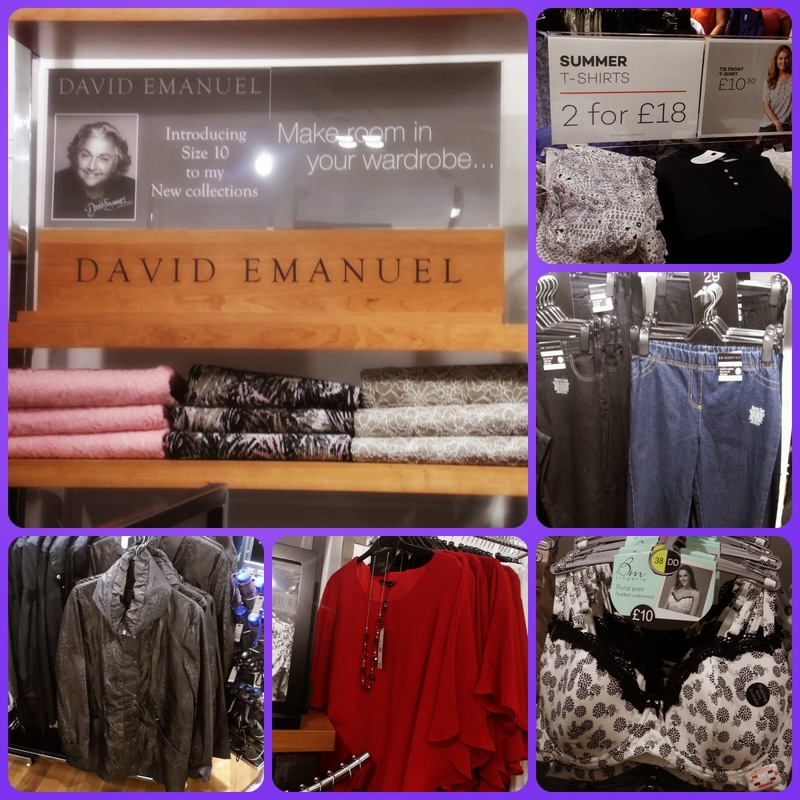 He's still designing and had a range with Bon Marche (click to visit their website). His designs are full of colour and designed to suit any size, something which is rare to find. The opening was quite understated, no massive bells and whistles, which set the tone perfectly! The store is done boutique style, really elegant. However, don't let that fool you, the prices are still incredibly reasonable. The staff are warm and friendly, and willing to help, anyway they can. Is the clothing designed for youngsters? No, quite frankly it isn't! But don't they have enough places to shop!? It's not aimed specifically at the older generation either, in my personal opinion. I found some items I loved, and would most definitely wear. I think it's target audience is, women that are looking for a more classic design. Clothing that will give you a good base to your wardrobe that can be adapted to suit different occasion. The accessories available are stunning. I do love a good scarf, I ended up with 2 new ones for my hair! 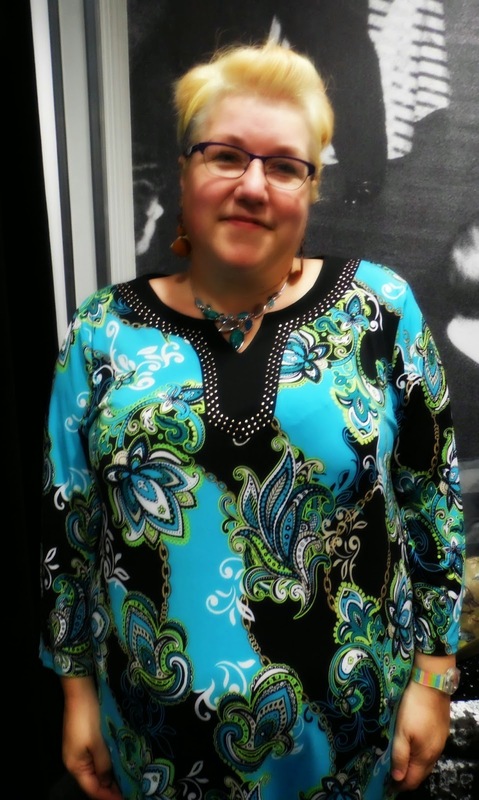 One of the staff, wearing a top I like. I got to try on a lovely outfit, please excuse the picture, I really struggle to know what to do with myself when someone else is doing the snapping! 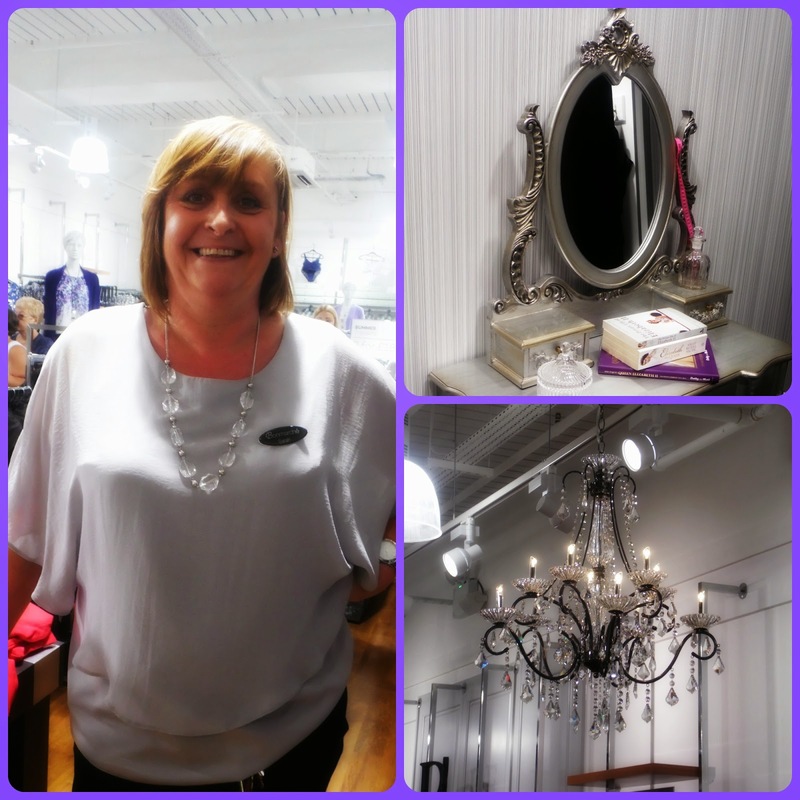 This gorgeous top is from the David Emanuel range, along with a pair of loose fitting trousers and a gorgeous necklace. I get that some stores carry a stigma, but this new store in Cardiff is blowing that out of the water. It's stylish, with staff that treat you with respect. I was witness to the fantastic service that was being offered, regardless of how busy they were. I have already shopped in Bon Marche, in my local town, and will continue to do so. The full range is available in Cardiff however, so that's going to be a regular visit I think. That top so suits you. Great to see you last week. 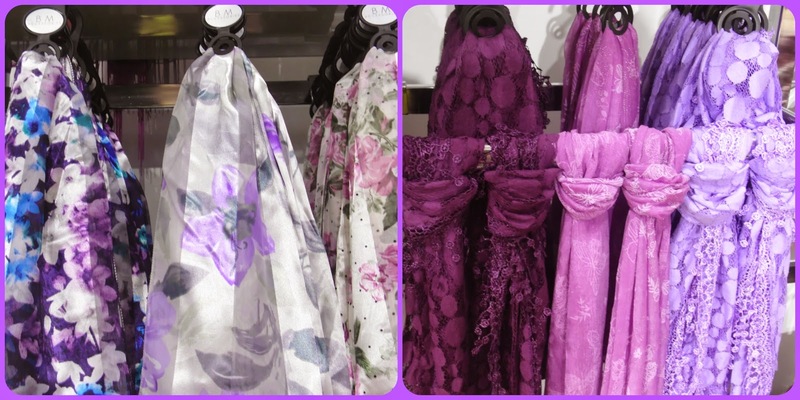 I agree that some stores do carry a stigma, I've notices some nice clothes on display in Bon Marche recently! You look lovely in the top!